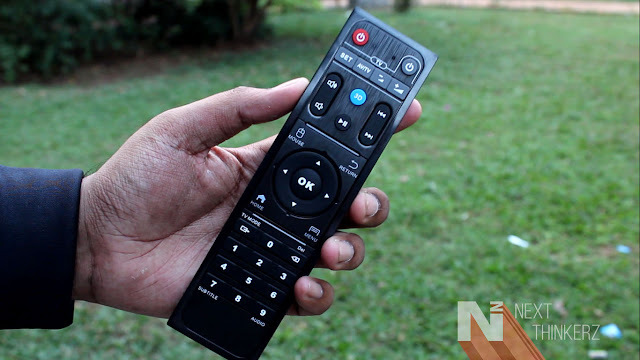 HiMedia Q10 Pro Review: Best Android TV Box which runs Nougat 7.0. Android TV Box, a technological aspect of brainstorming your current boring old TV set by rejuvenating it with something completely bold and new. So essentially with an Android TV box, you get to experience a complete refreshed UI loaded with Media consumption, Apps, Games, etc. Well most of us would be familiar with this term and have heard about a lot of brands. But according to me, only a few perform the job of being the perfect Android TV box. 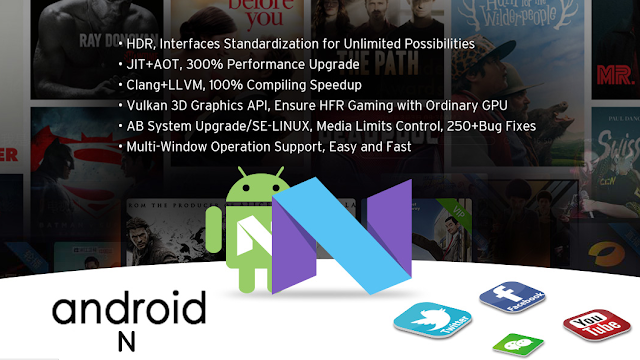 HiMedia is one of such companies which manufactures Android TV box & delivers the above statement. I got a chance to use their Flagship Product, the Q10 Pro which comes with high-end specifications in the TV industry. So after using it for almost more than a week, I'm very excited to share that it is one of the best Android TV Box's out in the Market, besides the fact that it runs on Android Nougat 7.0 out of the box. So here's my HiMedia Q10 Pro Review with in-depth analysis of the product. 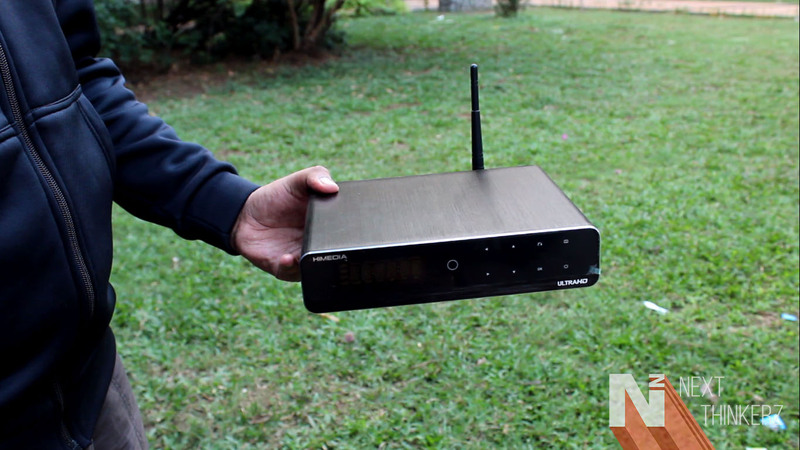 So the moment you see the HiMedia Q10 Pro, You would immediately realize that it's not the usual Android TV Box. It's Big, A little Heavy and has interesting looks to it, due to that all metal design. The fact that it is large adds a definite point in its alley as the company has incorporated a decent set of specs in the industry since it performs like a champ. The HiMedia Q10 Pro has a brushed aluminum body, subtle curves on the top and bottom with chrome trims brushed along it. Whereas if you think that this construction would produce a considerable amount of heat, Then nope that doesn't occur due to an inbuilt fan. That same inbuilt fan is the reason why temperature remains low on the inside. While on the front there is a Glass Panel which incorporates an LCD equipped with capacitive buttons beside the IR receivers. 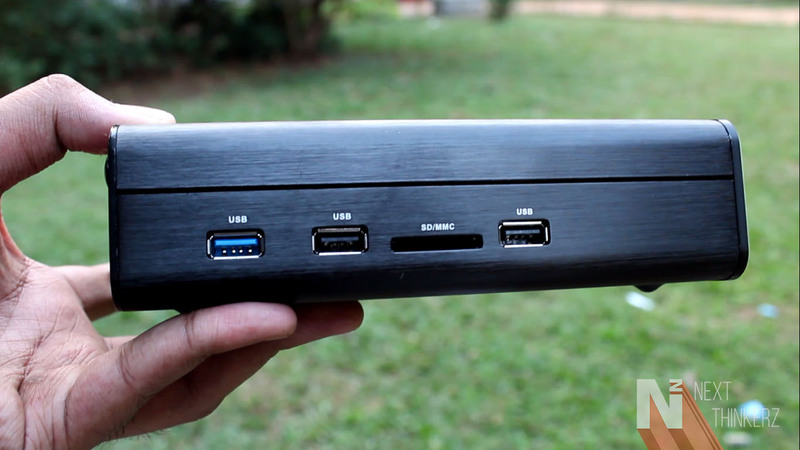 It even has it's own external Hard drive compartment, which pops up with the push of a button. This compartment can house a 3.5inch HDD supported up to 8TB, which can be a pure bliss if you consider gaming or watching 4K content at it's best. So now you know why that big body is essential. Whereas speaking about the input-output ports there are 2 USB 2.0 ports, One USB 3.0 port, SDHC card slot, micro HDMI 2.0a port, Gigabit Ethernet, Optical & Coaxial SPDIF gold plated video/audio I/O jacks. For Internet connectivity, there's support for LAN, whereas HiMedia has included a detachable Wi-Fi antenna, which helps in making things a lot easier. Whereas the HiMedia Q10 Pro has 16GB inbuilt storage and you can also access data from a remote hard drive(Apple Time Capsule) since it supports both Dual-Band AC Wi-Fi & Bluetooth 4.0 wireless connectivity. 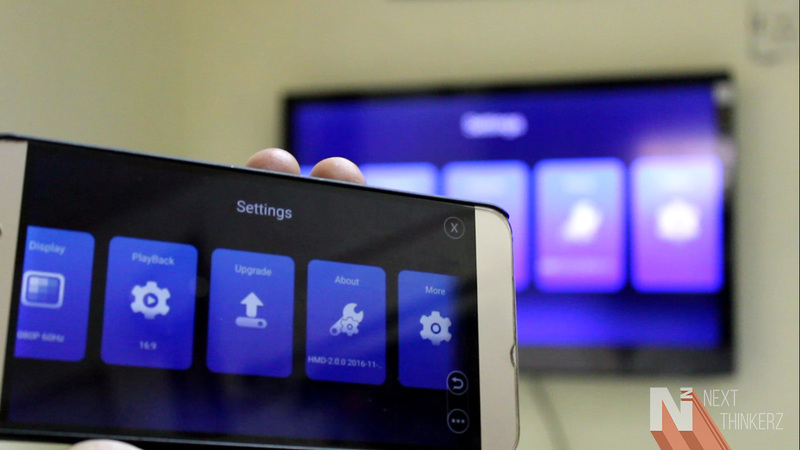 Miracast and happycast are also available within the box pre-installed. The HiMedia Q10 Pro has a Hi3798C V200 Quad-core processor which is a 64-bit CPU. The processor has been based on ARM Cortex A53 cores coupled with 2GB RAM, Mali T720 GPU which supports OpenGL ES 3.1(That is insanity at it's best) Graphics. It supports 4K at 60FPS with H.265/HEVC 10 Bit support; While has Imprex 2.0 processing engine equipped with HDR & 7.1 Dolby Digital Plus with DTS-HD. On top of that, it also supports 192K/24 bit audio decoding and output. Whereas Lastly, it runs on Android 7.0 Nougat with all of the bug fixes from the previous Android 5.1 OS. Now I'm pretty sure all of those specs might've shaken you a bit, Thinking would all these specs live up to its name? So since we're through with the numbers, now let's boil it down to the real world performance. So I had connected the Q10 Pro to my Sony Bravia LED TV(1080p Full HD) & I'm using this setup for almost more than a week. Since I have a TV which supports 1080p HD videos, I could only try fetching 1080P/I content on my TV. Speaking of which vivid details were observed, there wasn't any buffering of any kind, even if I accessed few videos by attaching pen-drives. I didn't face any occasional stutters at all like few users had reported online, I guess HiMedia has fixed a lot of these bugs from the previous Android 5.1 OS. Switching between the apps was a smooth process, although I could see few frame drops, those were on the minor side as I had games minimized in the background. Speaking of which the graphics quality I observed was beyond my thoughts, It felt as if I was playing on some gaming console. The sound quality was also on a good side, Although my TV already supports Dolby 5.1 and with Q10 Pro Dolby 7.1 driver support, I did observe a real depth of sound, again you need to have the supported theater system for actually enjoying that immersive experience. Whereas you can also connect an external mouse and a keyboard via the USB port, Wired/Wirelessly and experience the computing power of this TV Box. As it runs on Android, potentially several external accessories can add up to your professional workflow(MS/Google Office suite) & that too on a bigger display. Although the results obtained might seem little at first, when compared the devices up and down. But I feel that these results are pretty good for a TV Box. Although I can say that these benchmarking apps get moreover used for testing smartphones and tablets, So one shouldn't depend on these apps for judging a TV Box's performance. Since we're through with the hardware talks, let's jump into the soul of the HiMedia Q10 Pro. Speaking of which currently it runs on Android Nougat 7.0 version out of the box. If you have bought it before November, then it might've Android 5.1 pre-installed on it, but don't worry you might've already received an update. If not, Simply head over to their website and download the latest firmware to upgrade it locally by inserting a Pendrive. Also even though if the Q10 Pro has Android 7.0 installed, HiMedia has thrown their Custom Skin on it. But you can anytime install a 3rd Party launcher and make it feel familiar to you. Though speaking about the custom launcher, It's kind of the Metro UI found on the Windows platform. You can add or delete tiles based on your personal preference which makes navigation a lot easier. Whereas such kind of UI feels like an essential thing, Since you've got a larger canvas. Also, the bootup time is pretty quick, the moment you turn it on, The Android OS will boot up under 10-15 secs maximum. After the initialization which includes HiMedia logo, the first thing you see is the home screen directly. It's like a plug-n-play kind of stuff. The first thing you would see is the replica of Metro UI, Only on the home screen, though. As always you can juggle between the apps and in settings you can find accurate tabs which can let you tweak settings systemwide. 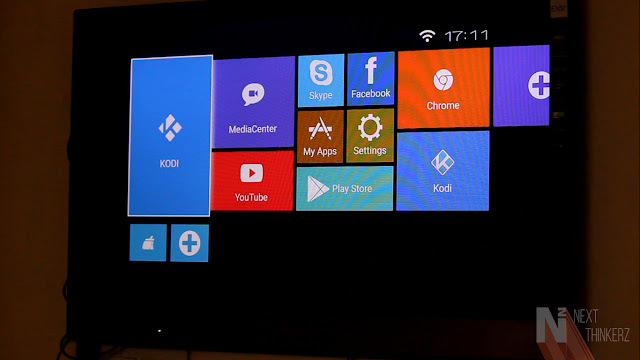 The biggest tile you would see on the homepage would be the Kodi V.17 Application tile. So Kodi, if you don't know is one of the largest media management software online. This built-in media management system lets you play 4K HDR videos at a whopping 60fps with 10bit wide color gamut and 7.1 Dolby digital high-resolution audio. It's also capable of displaying 3D videos within a blink of an eye with Kodi's superior extensions. Kodi could also be called as the brain of the media management on this Android TV Box, As it supports every other media format(Image & Video) found online. Whereas it is the first television box, which comes pre-installed with Kodi at a premium price tag. Whereas the typical operation is fluid enough without any hiccups, even when the apps are running in the background. Kodi & Wrapper has been already installed on HiMedia Q10 Pro, and once you've logged in with your Google account, It'll automatically update itself to the latest version. 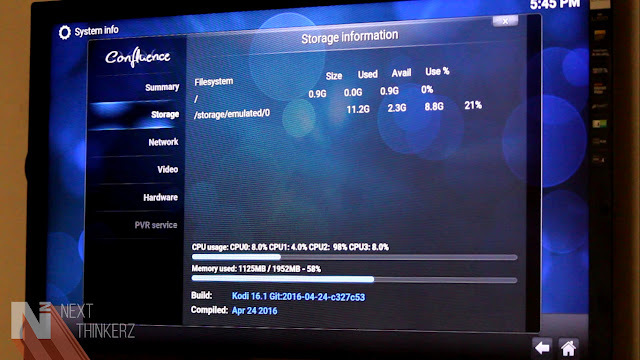 When you open up the Kodi App, You can see a lot of things going on such as file manager, media, and add-ons, system information, etc. You can have a bright look at how much CPU activity is going on in real-time and how much Memory gets killed for the same. While the user interface of the Kodi feels futuristic, which is the reason why many even call it the Jarvis of Media Management systems. If you head over into Media and Add-ons, You will discover images libraries, videos, podcasts, etc. Let's say you love to watch videos from CNN, Just search for CNN add-on in the media library and the next you know is that CNN videos are parsed directly in your media player after downloading and installing that add-on. You even get to choose the genre and search for the specific things within the same tab. Whereas while you're playing one video in the background, You can search for other things and the video still plays in the background as you can see it as the overlay is in a transparent format. It comes in handy, if you're listening to any podcasts and surfing for photos or doing any file transfers within the Kodi app in File Manager. Whereas if you ignore Kodi, It's a full-fledged Android TV Box. So consider the entire Android Ecosystem available to browse on the Q10 Pro. You can download as many Apps and Games you want from the Google Play Store, Whereas as a bonus there's hardly any unnecessary bloatware pre-installed. It stands as a major plus point as you get to install more apps and games. The homepage also houses Facebook, Youtube, Netflix, Skype, Chrome Browser(HTML 5 & Flash 11 support), etc., while you can add or remove tiles based on your personal preference. Just for kicks, The HiMedia Q10 Pro comes with Android 7.0 Nougat firmware(HMD-2.0.0 2016-11-17.184554). However, if you have any queries, just head over to their forum as there, they have an active support team present for the global audience. They are also known for providing timely updates in the tech community. Apart from the HiMedia Q10 Pro, the company offers a pair of micro-HDMI 2.0a Cables, Power Adapter(UK/US Style), external WiFi antenna and a Smart Remote. So the in-built remote is capable of controlling all the functions on the TV box. There are several functions available on the remote including the option to turn on the Mouse function. Though the Mouse pointer works based on the directional pads on the remote, which means that press and hold the left key to turn the mouse pointer to the left. It can become pretty frustrating part at times as it's not an airflow remote. But that gets overshadowed by the fact that HiMedia provides an Android App which mimics the air mouse at ease. The MoreSee App by HiMedia becomes your virtual remote, and it becomes useful while browsing through the UI as it provides the Airflow controls. That means you can hover your phone to drag the mouse pointer to a particular location. 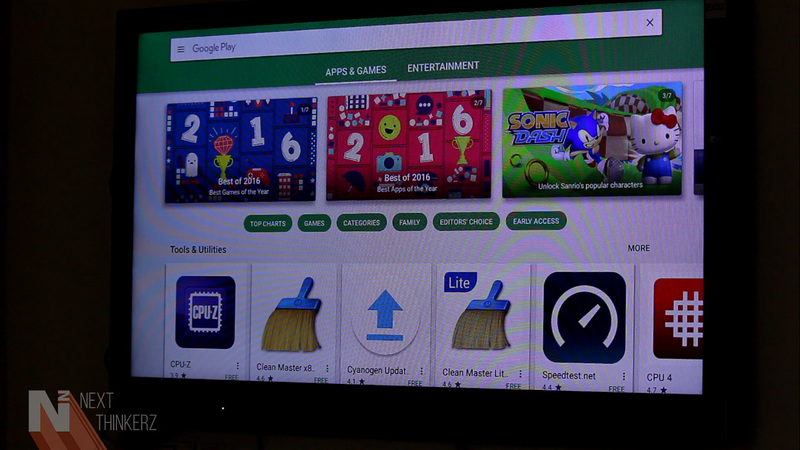 On top of that MoreSee app also lets you mimic the entire TV display on your Android Phone/Tablet. 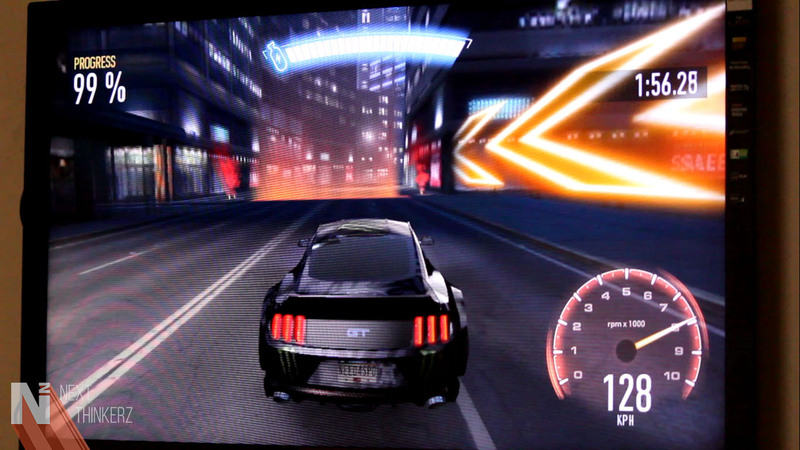 Whereas there is also another mode within the App, which can turn your Android phone into a game controller having Virtual keys and Accelerometer Sensor support. That has to be one of the greatest physical extensions of this TV Box, As you don't require to buy any game controller at all. Plus who isn't on their smartphones 24x7, huh? Although for this to happen you need to be on the same Wi-Fi network, Whereas you don't need to have an IR blaster on your smartphone as the connection occurs via Wi-Fi. Although if you have any Gaming Controller, Well congratulations, It's going to hit your sweet spot. As of me, I just received Gamesir G4s about a day ago, So you would soon see the gaming review on my YouTube Channel. So make sure you're subscribed to watch the HiMedia Q10 Pro's gaming controller compatibilities. So the Q10 Pro has the needed hardware to support streaming 4K at 60FPS. It is possible due to Huawei's HiSilicon chipset on board which has been designed especially for enhanced media playback. The video quality delivers high dynamic range shots, blacks observed are deep as on AMOLED panels, the overall image looks crisp, and it gets rendered more on the true to life side. All of this is possible due to the micro HDMI 2.0a ports which have a transmission rate of 18 GBPS bandwidth. That stands as a major point of the 4K HDR playback. Although I only got a chance to use 1080P/I streams on my TV, Since that's the max my Bravia TV can render. There's also an easy switch toggle inside the inbuilt media player to turn the video into a 3D stream. 2Ghz HiSilicon Hi3798CV200 Quad Core processor(64-bit CPU, ARM Cortex A53 Cores). 2GB RAM with Mali T20 GPU. 16GB Internal Storage with Expansion up to 8TB 3.5inch SATA 3.0 HDD slot & Memory Card Slot. 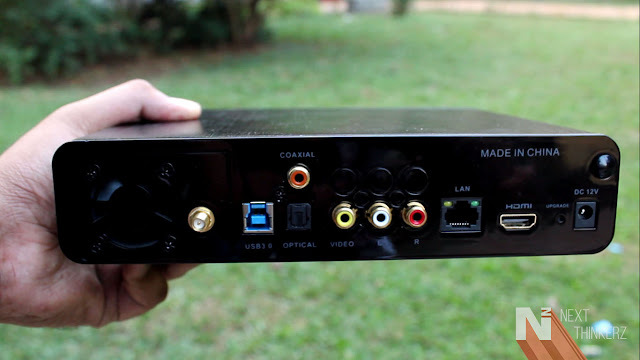 3 USB Slots(Two USB 2.0 + One USB 3.0), 1 HDMI port(HDMI 2.0a), 1 Gigabit Ethernet, Composite Video Port & Stereo L/R, S/PDIF Toslink, S/PDIF Coaxial(Gold Plated Connectors). Bluetooth 4.0 + EDR , Dual-Band Wi-Fi AC connection. Supports 4K at 60FPS ULTRA-HD HDR Videos & It's Compatible with every other media format on the Internet. 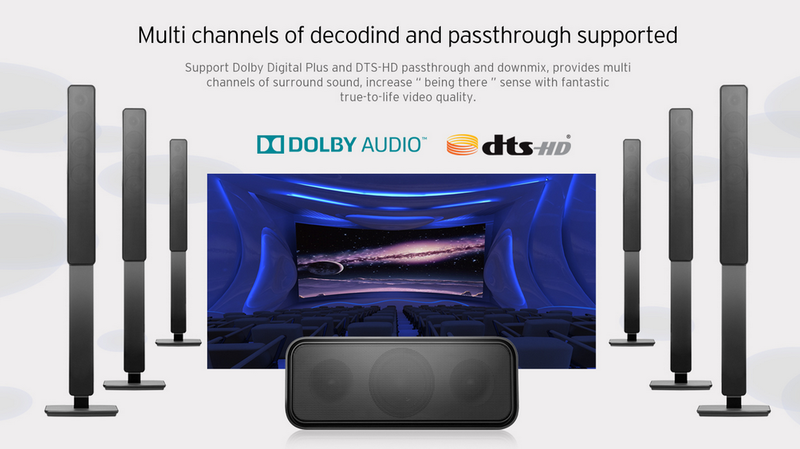 Dolby Digital 7.1 DTS-HD Supported. Why HiMedia Q10 Pro is the best Android TV Box running Nougat 7.0? I'm using the HiMedia Q10 Pro for almost more than a week now, and It's without a shout of the doubt, A Media Powerhouse. I've thoroughly used each and every feature of this TV Box and I couldn't agree more on the fact that I enjoyed the process. 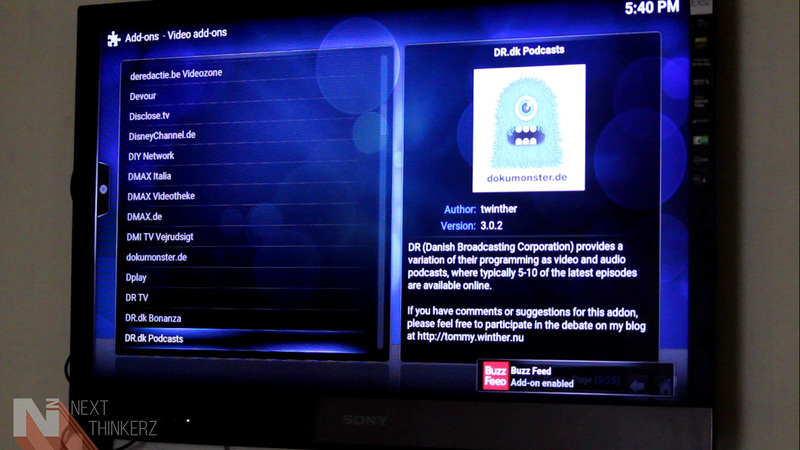 Although it is the first time that I've used an Android TV Box, and It hasn't let my geeky thoughts down. It might be the costliest TV box having Kodi pre-installed, But the odds are overwhelming. Excellent support for media formats globally, Gaming Console, External Storage & Media Consumption are the well-defined thoughts implemented on this TV Box. Although it's not available yet in India officially, You can still find it listed on Amazon India(Costly). Though I would recommend everyone buying this TV box from Amazon US(Affordable). Let me know in the comments below, What you think about our review and what's your favorite part from the HiMedia Q10 Pro.